1. Drinking Mojitos with my sis…very quickly… the speed has a direct correlation to the intensity of the smiles… and very quick means the smiles burst into hysterical giggling. 2. 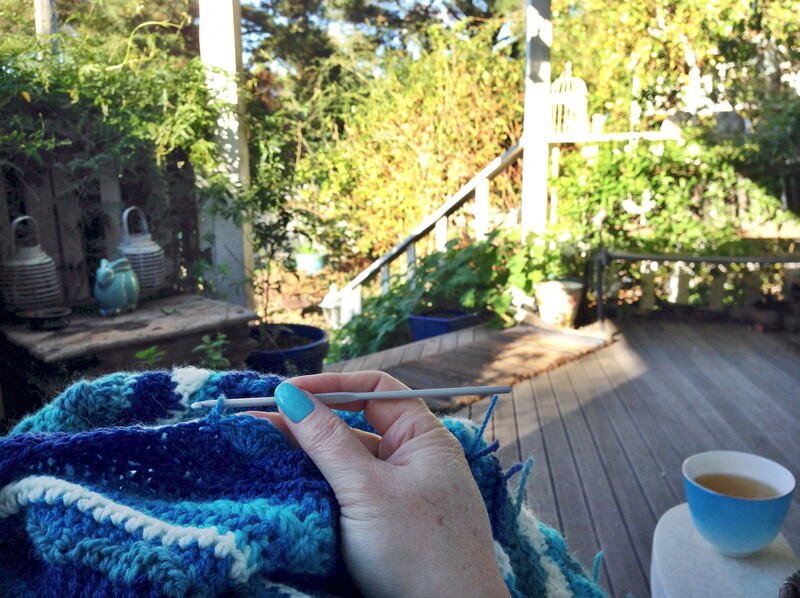 Porch crochet on a sunny late autumn afternoon listening to the happy birds in Dove Cottage. 3. Watching my Kiwi Coast Blankie grow and grow, and the meditations I’ve enjoyed whilst playing along with #motifmayday. 4. 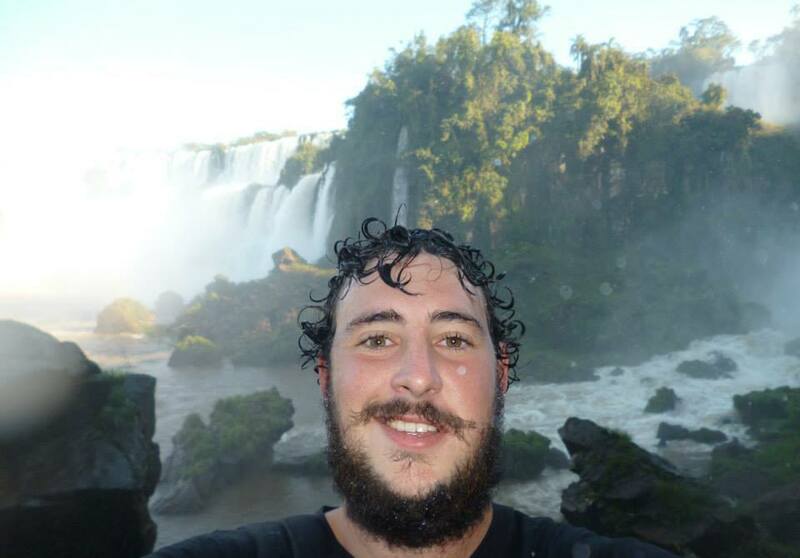 This pic of my son looking like a (very happy) bushranger at Iguazu Falls. 5. Snapping this pic of my stunning daughter… I’m mean seriously… This is the kind of beauty that comes from within and radiates out. 6. 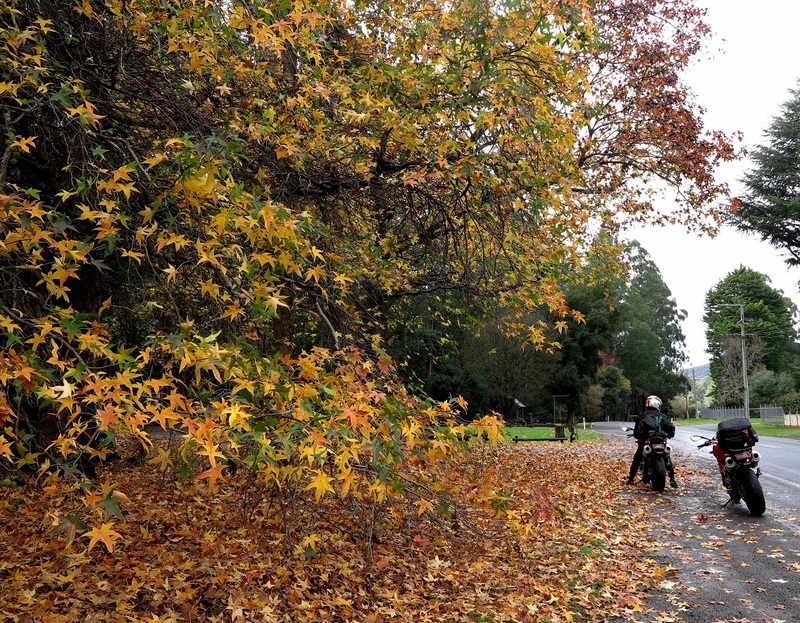 Rides like this, with my sweet hubby, on sweepy twisty roads sprinkled with farms and autumn loving trees. 7. This song and those voices! 8. This Instagram feed, not so much in a face smile way but in a heart smile way. So much goodness, so grateful. 9. This positive inspiring blog, again more hearts smiles than face smiles, but this post gave me both! What you focus on grows… so let’s grow more smiles… to nourish our spirits and lighten the load, even if it’s just for a moment…. What are your smile inducing things? I’d love to know. Link up with a blog post and let me know in the comments below so I can visit, write your list in the comments here, post your list on my Facebook wall, or list them on Instagram and tag me... Use the hashtag #mysmileinducers. Let’s start something positive and happy… and smile inducing. Wishing you happy face smiles and beautiful heart smiles. UPDATE: I’ve added an option for you to link to your blog posts here…. 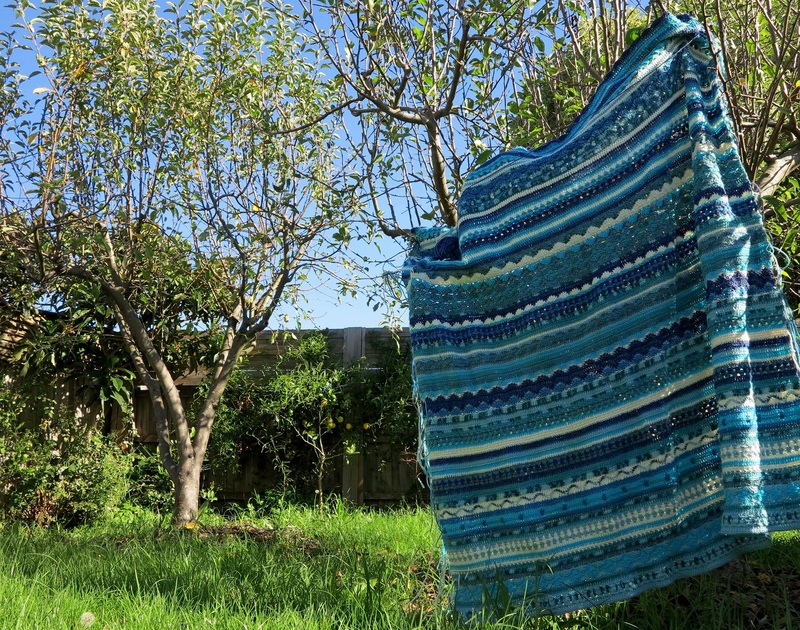 This entry was posted in craft, crochet, garden, inspiration, my smile inducers, Photography, travel, Uncategorized and tagged #mysmileinducers, blanket, crochet, hearts, inspiration, photography, smiles. Bookmark the permalink. What lovely things you’ve described. I love love love First Aid Kit, almost as much as I love mojitos and my sister. Thanks so much for sharing. You induced my smile. Yay! Smiles is what this post is all about – so glad it induced one for you. I am going to see First Aid Kit again soon, and my sister is coming…. I’ll have to make sure we drink mojitos really fast that night… it’ll be a smilefest! Beautiful crochet blanket (and nails!) and happy children.